These coffees are defined by the place they come from. They are from specific coffee growing regions in each country, from a specific farm or group of farms that make up a small cooperative. Most of our single origin coffees are lightly roasted in small batches to let their unique aroma and flavor characteristics come through. Nuanced flavors mirror the soil, climate, and farmers’ care — the resulting coffees are truly among the world’s best. 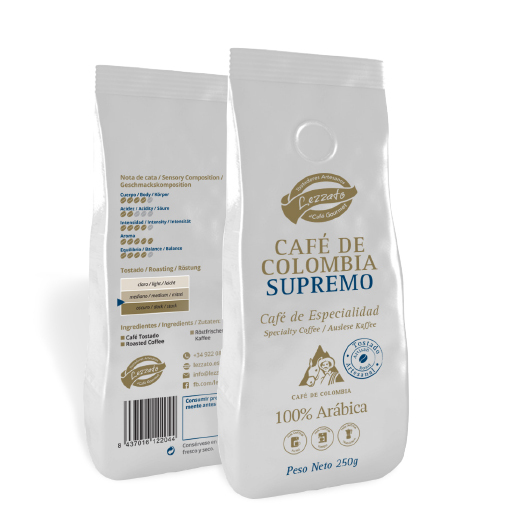 We use Colombia’s top-grade extra large Arabica beans for our Colombian Supremo coffee. Its intense flavor and rich aroma make it the world’s best-selling origin. The medium-roasted beans offer a distinct Colombian flavor, a characteristic the country is known for. Day or night, this coffee remains a consistent favorite and will not disappoint. Rich port-like sweetness, syrupy body, and an intense berry flavor. Naturally-processed Ethiopian coffees are special in the world of “Single Origin” coffee flavors. Sumatra is a classic single origin coffee known for its low acidity, full body and earthy, butterscotch notes.